If purchasing the optional personalization, please include the name(s) you'd like. (Ex. Pamela's; The Smith's) and/or leave any special instructions below. 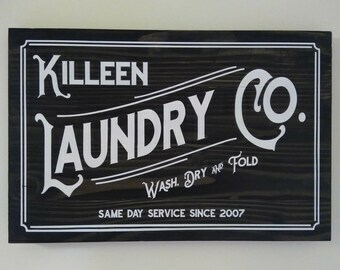 This Laundry Sign is hand-painted and lightly distressed to give it that French Country Chic look. The solid wood frame is removable, which you can repaint, restain or repurpose down the road to get a brand new look. It comes ready to hang with an attached sawtooth hanger on the back. I can gift wrap it for you so it's ready to give as soon as it is delivered - just choose gift wrapping during checkout. 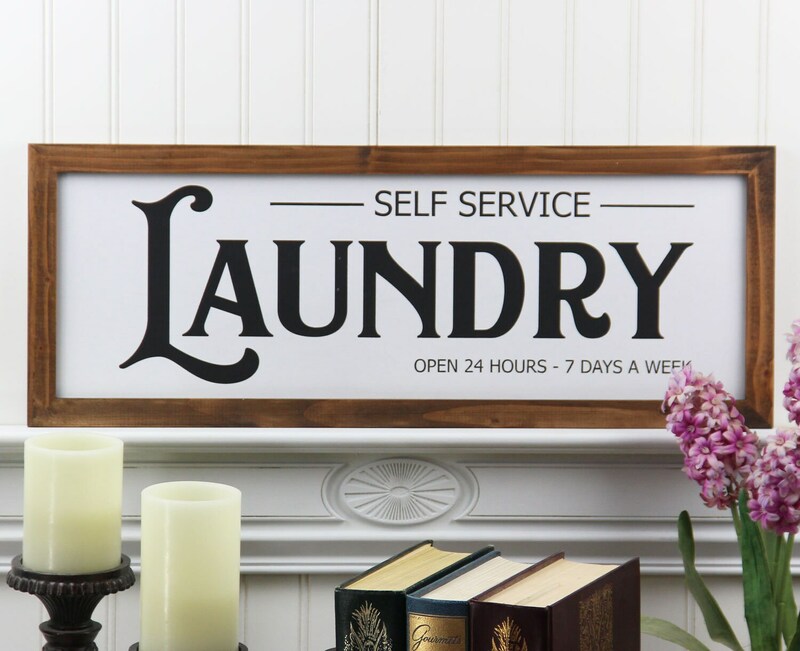 Sign can be ordered as photographed (Laundry Self Serve - White or Black option) or it can be personalized with your own name - just choose the "Personalized" option on the Drop-down Menu. There is no extra charge to change the background or text color. In addition, I can also customize the text message and rarely charge more than $10 extra for that so feel free to send me an Etsy conversation (convo) prior to ordering to discuss options. Beautiful sign!!!! Thank you so much!! !